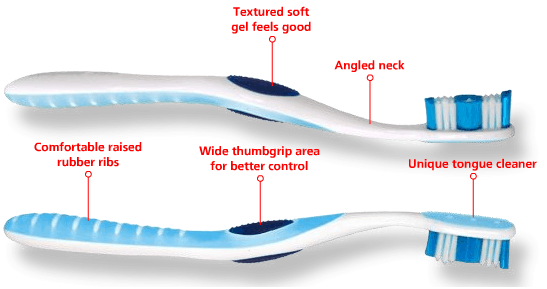 My toothbrush is blue with a mixture of white. Nice random thread here. Love it. I use an electric one. The small edge is yellow at my father's and blue at my mother's . You can Call me Chrys!!! This made me laugh Good one, Joe. I like how one of the most random threads gets all the posts . I have an orange and white one, guess I'm unique. I'll take all these as compliments! My new one is blue and white.